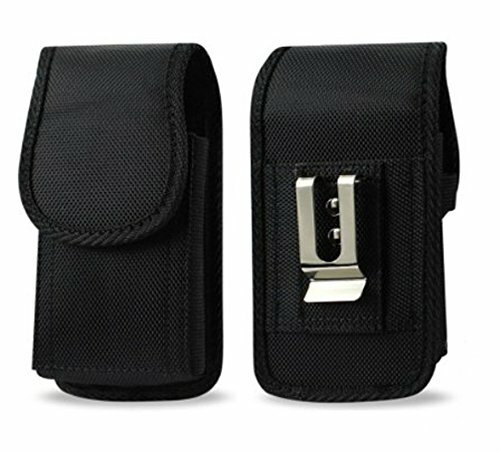 Package Includes: AGOZ® Heavy duty rugged vertical canvas case with a metal belt clip and two belt loops. This item is sold exclusively by AGOZ®. Only buy from Authorized dealers to get original AGOZ(TM) products with manufacturer warranty and prompt customer service. AGOZ® Heavy Duty Rugged Vertical Canvas Case with Belt Clip and Loops For Samsung Galaxy S8 Plus and S9 Plus. IT FITS WITH A PROTECTIVE COVER.IT WILL BE TOO BIG FOR BARE GALAXY S8+ or S9+).